While everyone at Ape is partial to a dram of Scotch whisky, we have somewhat neglected the Irish. For no good reason and no more. 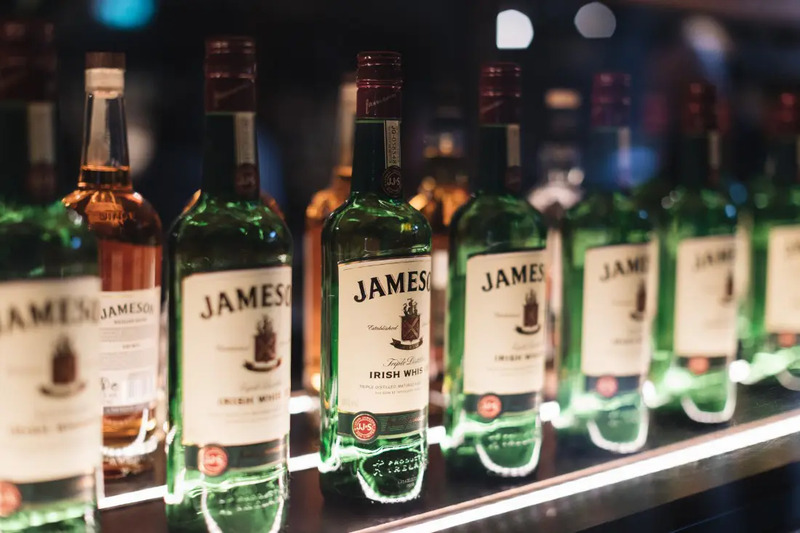 For our recent visit to Dublin, introduced our tastebuds to Jameson Irish whiskey. 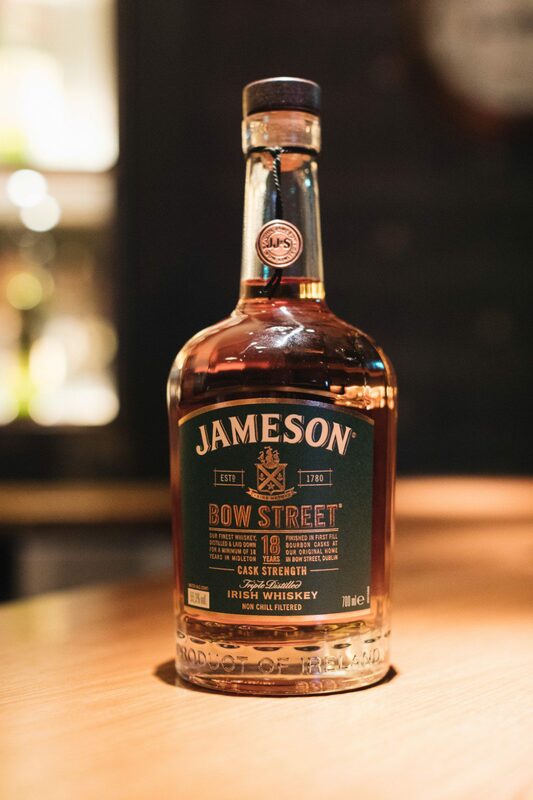 Produced by Irish Distillers in Midleton Distillery, the brand have just released Jameson Bow Street 18 Years Cask Strength. 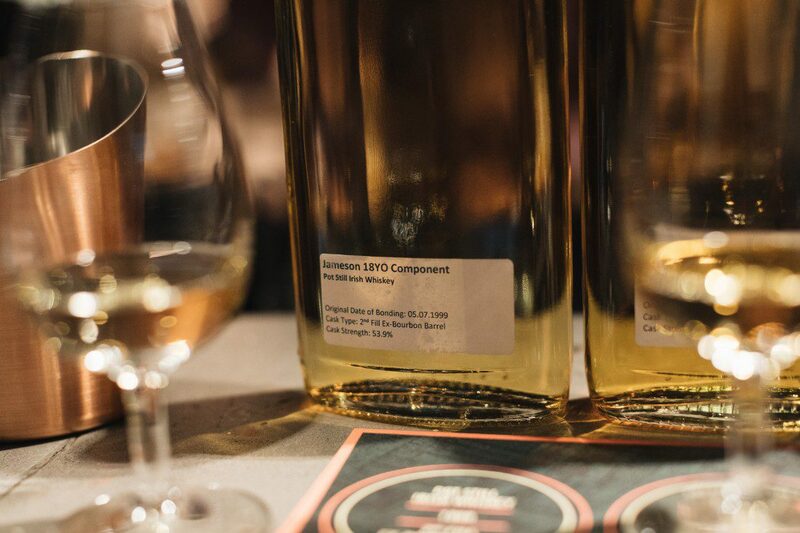 And it’s delicious – sitting atop the Jameson portfolio of Irish whiskey. 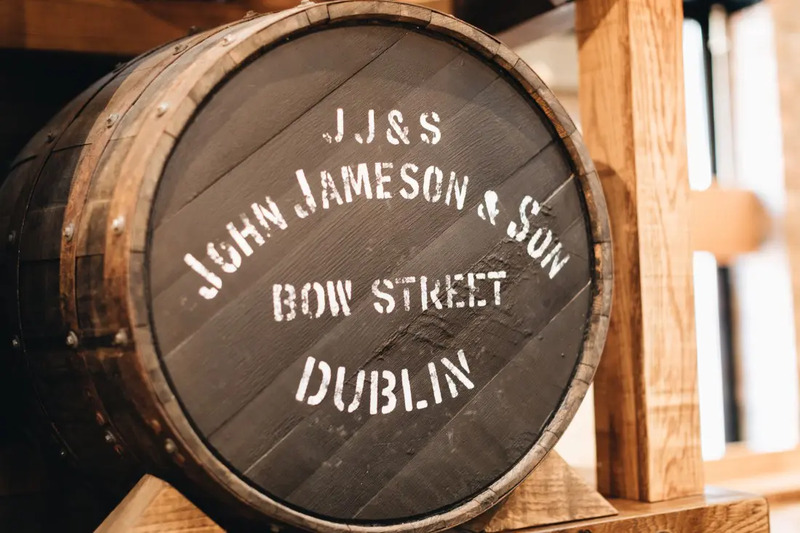 Bow Street 18 is the first cask strength Jameson and finishes its maturation in Dublin’s only live Maturation House in the Jameson Distillery Bow Street. 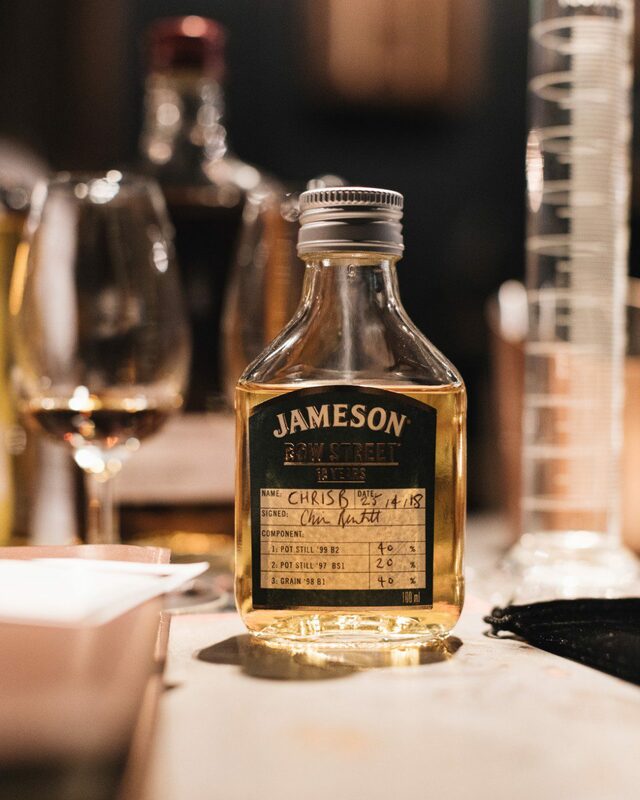 We are told it’s a reinterpretation of the popular Jameson 18 Years, which we are now keen as mustard to try. 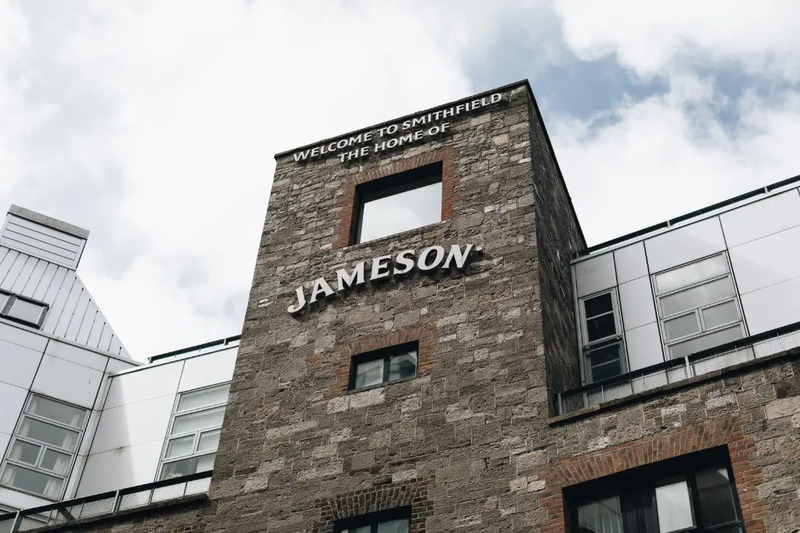 And that the new expression celebrates Jameson’s Dublin heritage by returning part of the production process to the brand’s original home in Smithfield for the first time since 1975. 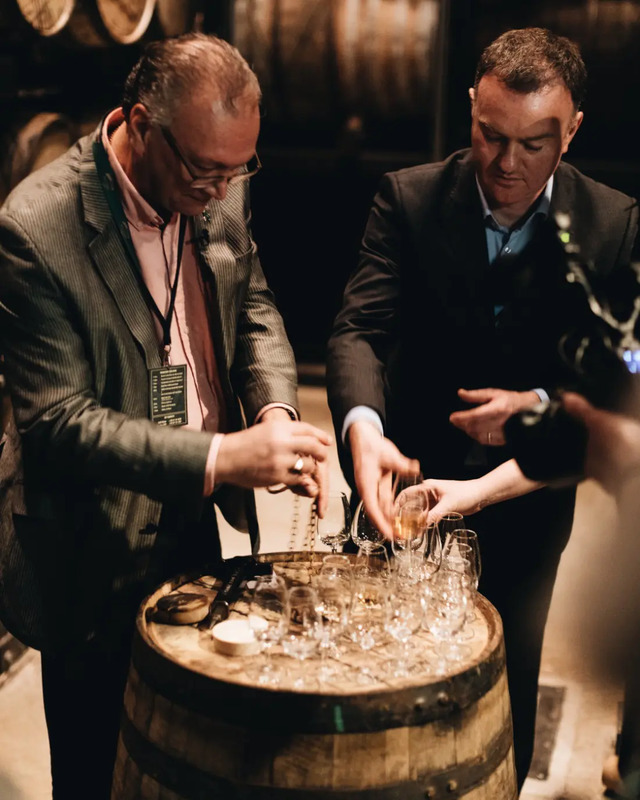 We were fortunate enough to be shown around the original Bow Street site by Billy Leighton, Master Blender at Midleton Distillery. 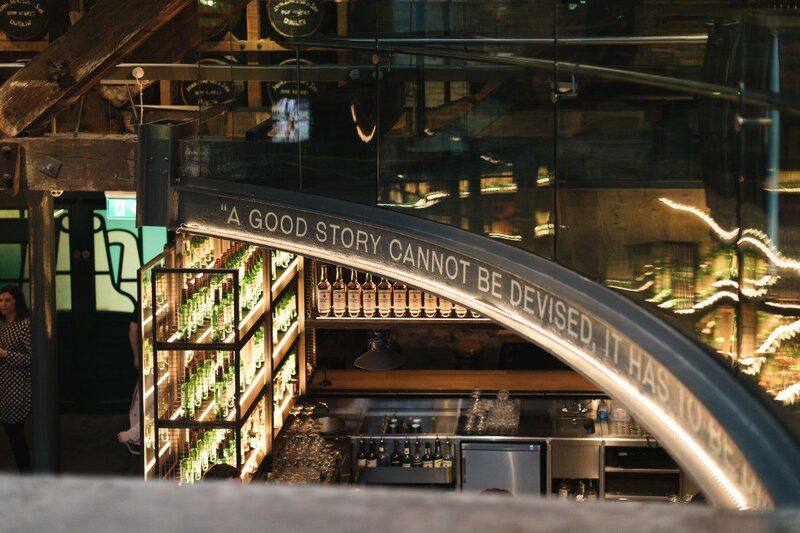 It’s a magnificent visitor experience, a homage to an icon of Irish Whiskey and a revelation in how intertwined the Jameson family was with the men, women and children of Dublin. 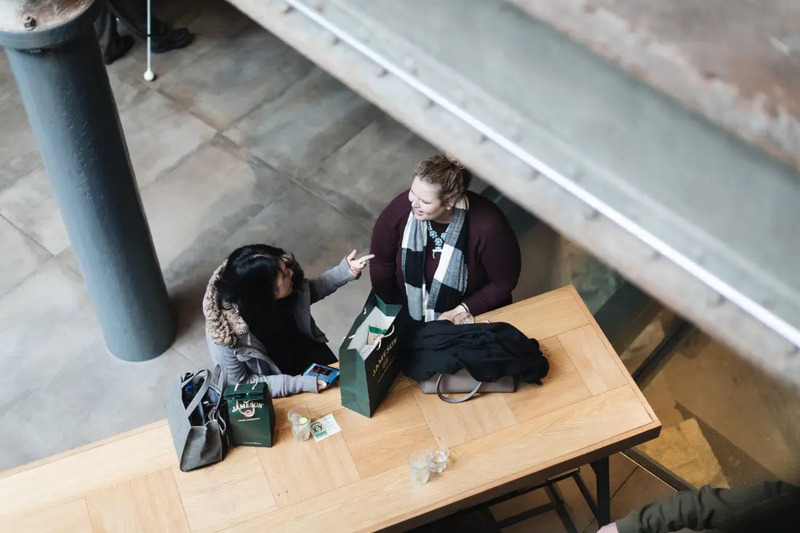 Much like Cadbury’s were in Bournville, Jameson looked after its employees, it was a great place to work by all accounts. And as such, the employees were proud of the brand and worked hard to produce its precious liquid. 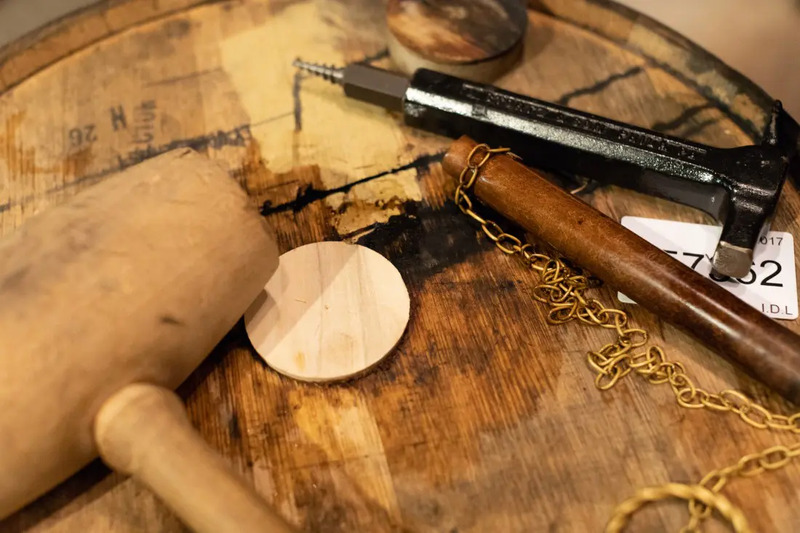 It was this ‘marriage’ and understanding that saw Jameson see off other distillers to become the king of Irish whiskey. Anyway, back to Jameson Bow Street 18 Years Cask Strength – distilled and matured at the Midleton Distillery, Co. Cork. It is the new head of the Jameson family of whiskeys. 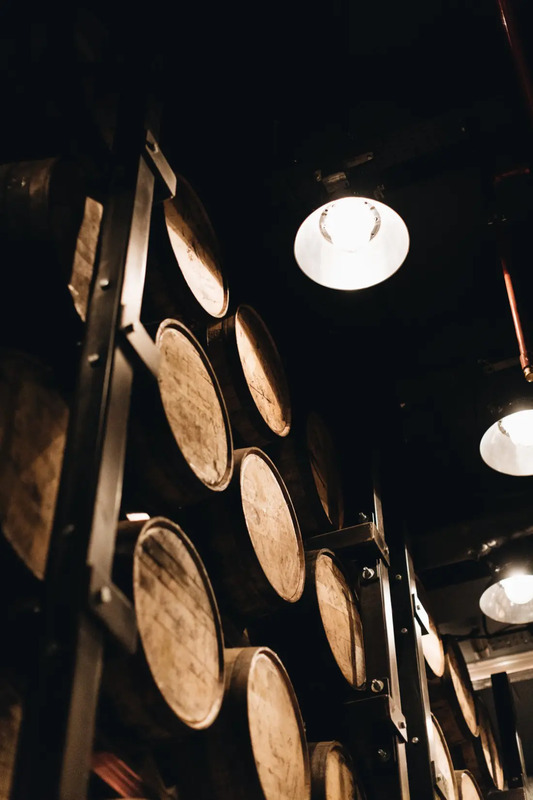 The liquid has spent 18 years in a collection of bourbon and sherry casks, with the blend of pot still and grain Irish whiskeys married together and re-casked in first-fill ex-bourbon American oak barrels for a final six to 12 months in the Maturation House at the Jameson Distillery Bow Street. The latter we witnessed for our own eyes, and let’s just say – the aroma from the Angel’s Share was majestic. For those who don’t know, ‘marrying’ is a traditional method of re-casking batches of vatted whiskey and re-warehousing it to ensure infusion before bottling. 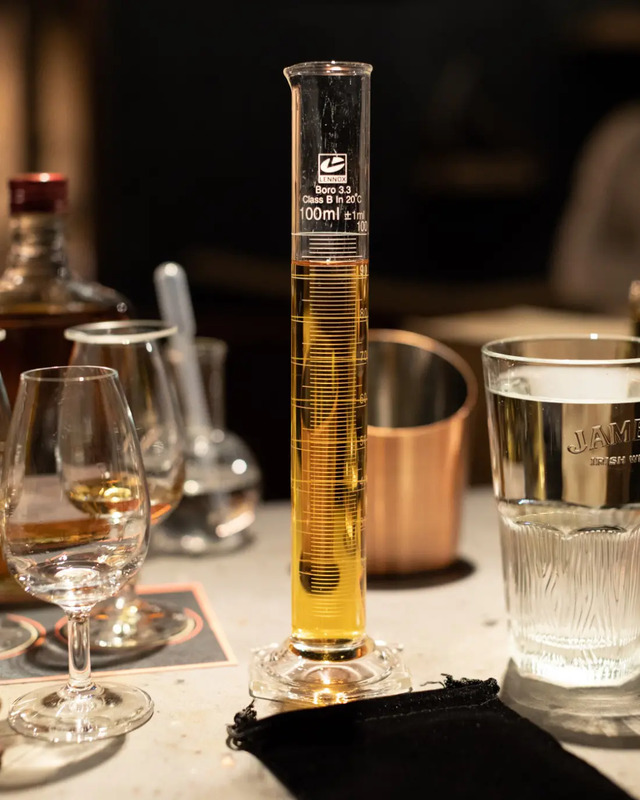 We even had a go at creating our own 18 Years whiskey, let’s just say – it wasn’t quite as good as Billy Leighton’s creation. Finish: Long and full with the sweet toffee notes slowly fading while the toasted oak and spice linger throughout until the end. The first batch is presented at 55.3% ABV without the use of chill filtration and will be available from July 2018 at the RRP of €240. Housed in a bottle featuring 18 facets, one for each year of maturation, and a wooden presentation box celebrating the traditional pot stills used during the production process – it’s a truly handsome piece for your whisky collection. Not to mention a deliciously smooth addition with plenty of depth and character. Mumm Grand Cordon Stellar – Champagne Designed for Space? Up Your Rum Game With Wester Spirit Co.